Has a certain someone been bad? Or maybe that special person in your life forgot that it was Valentine’s Day. Let them know the only thing that can make up for it is a piece of jewelry. Here are a few great jewelry gifts that may ease your pain. This Diamond Pave Heart from Leo Ingwer is a gorgeous choice. It has a full carat of diamonds pave’d in a setting of 18kt white, yellow, or rose gold. Retail price is $3,000. 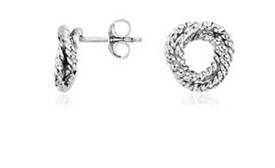 These Rope Love Knot earrings from Blue Nile are the perfect “thinking about you “ gift for a woman or a girl. Clocking in at around ¼ inch in diameter, they’re on the petite side. Sterling silver, and about $40. 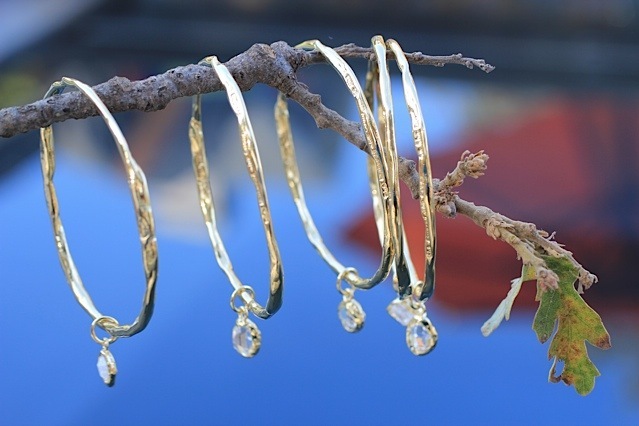 I am kind of digging these bangles from Show the Love. The rustic, hand hammered look, paired with a Herkimer diamond, is right up my alley. Plus, I love the “She believed that she could, so she did” quote they’re stamped with. Pricing starts at $220. How about something you can probably get right in your town? 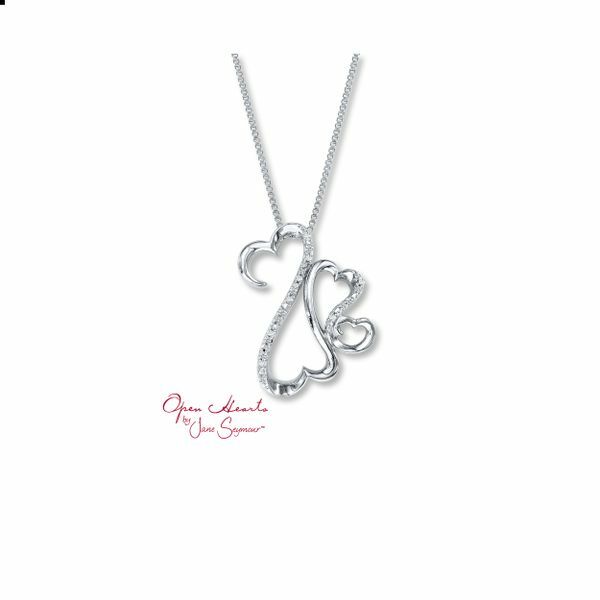 The Open Heart Collection by Jane Seymour is available at Kay Jewelers all over. Prices start at $39, and there are tons of pieces priced between $75 and $125. Maybe diamonds and gold, or precious metals aren’t really your style. 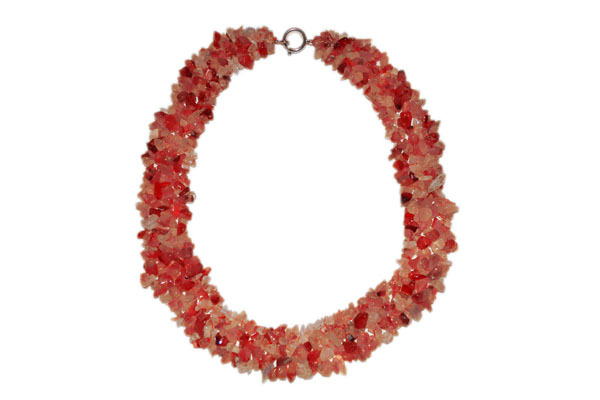 This bold Carneilian Necklace, from U. Breyn, may be exactly what you’re looking for. This is a perfect statement piece. Retail price is $148. What’s your suggestion for a great make-up gift? I’m always in love with a beautiful pair of silver dangly earrings. I love the open heart collection! It it had 5 hearts it would be better because there are 5 ppl in my family! Super pretty, love these! Thanks for sharing <3 Happy Valentine's Day! I love that last necklace, it is so beautiful! 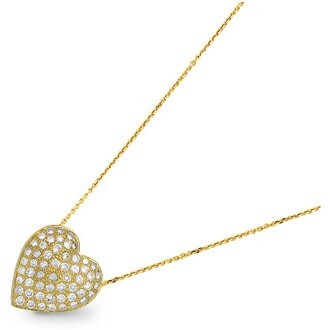 I missed this for Valentine’s Day… but my birthday is coming up, and the pave diamond heart has my name on it! Thank you!! OMG the show the love bracelet is exactly my taste and style!!!!! Gorgeous! I love the silver necklace with the hearts. Beautiful. I’m totally smitten with the bangle bracelets!! I hoping to talk the husband into at least one…..he knows how much I love Herkimers!! I like quite a few of the pieces from the Open Heart collection, they would make great gifts!